Although summer is over, the holidays are fast approaching. If you vape and have travel plans, you might need to be aware of countries that have either restricted or banned vaping. If you are planning on packing your dry herb or wax pen vaporizer and setting off to places where cannabis is legal, like Canada and Uruguay, you need to be aware that your hardware may be subject to confiscation in some countries. In others, even having the equipment or plain USA-legal e-juice can land you in jail. Before packing your vape hardware and e-juice, make sure that you check local and national laws. Do not rely on this listing of banned or restricted countries. Your best bet is to check with the embassy regarding local laws. Also check online for vaping forums in the country you wish to visit. Having your stuff confiscated is bad, and landing in jail in a foreign country would be a total vacation bummer. 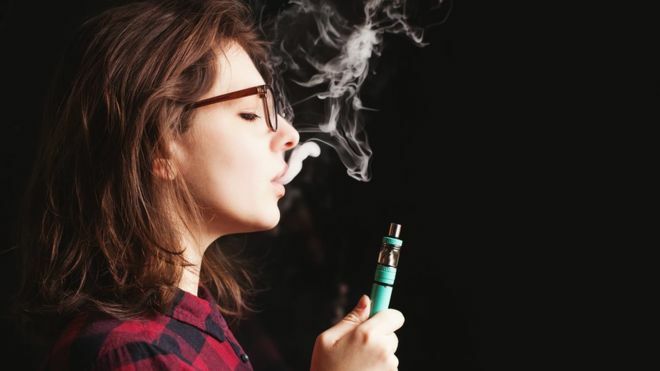 While one website reports that there are vape shops ordering their product, every other reference states that the sale, import, and delivery of e-cigarettes and vaping products are banned. Vaping is not banned, however, e-juice containing nicotine cannot be sold without a license. That said, you should still be able to get vaping supplies, just expect to pay more for what you buy. Vaping was only recently made legal in 2016, but don’t expect to find any vape shops in smaller cities and towns. You’ll have to make the journey to a larger metropolis to get your supplies. Here, e-cigs are legal, but vaping in public is not. Some tourist forums allow vaping, but be sure to check with your hotel or travel agent about local laws. Although currently legal, Taiwan is looking to enact a complete ban on the production and sale of vaping hardware and e-liquids. The ban was proposed at the start of 2018, so be aware that it could have changed. There aren’t currently any laws outlawing vaping, but smoking on the street is illegal, though rarely enforced. Although legal, this is a recent change and the industry is just beginning to establish itself. Vaping is permitted in public places as well. Vaping is permitted, but vaping products such as vape pens subject to the same regulations as tobacco products. If smoking is banned in an area, expect vaping to be restricted as well. Vaping is permitted, however, nicotine in e-juice is considered an unlicensed medical product and therefore, banned. Hong Kong has plans to ban vaping entirely, so make sure you check before embarking. Nicotine is considered a poison, so e-juices containing the chemical are banned. Vaping is permitted where smoking is allowed, however, Hungary has a heavy taxation stance on vaping supplies, so be prepared to pay more for juices. As an Islamic country, tobacco is condemned by religious authorities. The sale of e-cigarettes is illegal, as is smoking in public and inside cars. New Zealand’s approach is more progressive than its neighbors, falling more in line with the UK. There are few restrictions and the country boasts a healthy vaping industry. Vaping is permitted, but juices containing nicotine are not. Norwegians are able to import vaping supplies if they have a doctor’s note saying it is helping them to quit smoking. If you are planning on a long visit, you’ll need this as well. Shorter stays shouldn’t be a problem. E-cigarettes are legal, but e-juice containing nicotine are not. Though there might be some shops selling it, keep in mind you would be breaking the law by purchasing it. Vaping laws changed in 2016 to allow the sale of vaping products. However, bottles of e-juice containing nicotine are restricted to 10mL. A ban on e-cigarettes containing nicotine was overturned in March 2018. Vaping is permitted where smoking is permitted.